Salt Beef. Pickles. Swiss Cheese. Mustard. Bagel. Black Pepper. Repeat after me. Salt Beef. Pickles. Swiss Cheese. Mustard. Bagel. Black Pepper. Once more with feeling. Salt Beef. Pickles. Swiss Cheese. Mustard. Bagel. Black Pepper. Stick with these ingredients and you’ll be in for a right foodie treat. Especially if you go to The New York Deli in Cardiff. I went to uni in Cardiff to become the food nerd that I am today. And you know what, The New York Deli bagels and hoagies are what kept insane and well fed throughout my three years there. Tucked in the High Street Arcade is a little nugget of the Big Apple, whisking you away from the Welsh rain until you’re teleported to a deli in Upper Broadway, Manhattan. 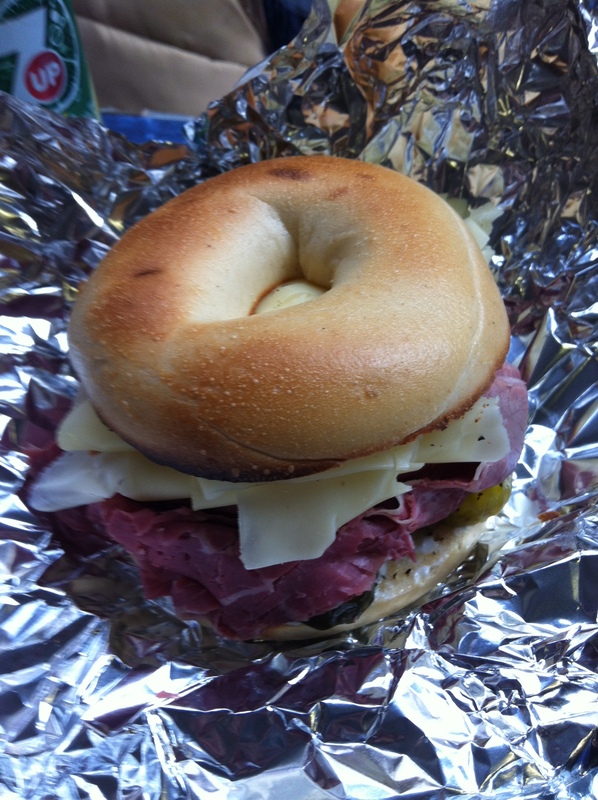 Their menu is brilliant with lots of specials like the meatball grinders, Cardiff Devils hoagie, smoke salmon bagels, but to be honest I love me some pastrami and salt beef. In my uni days, I would go for a hoagie. A MASSIVE sub roll, jam packed with delicious pastrami, coleslaw, Swiss cheese, thousand island dressing, lettuce, tomatoes and a ton of pickles. It was so big, I have a picture somewhere of my friend Ceri with her smoked turkey and pastrami hoagie which is bigger than her head. They are so big we would have a third for lunch, then take away the rest to have for dinner that night. God I miss them! I was back in Cardiff for the next installment of Scoff Saturday, which started in January at The Duck and Waffle. Being back in Cardiff, there was only one place I wanted to go for lunch and that was The New York Deli. 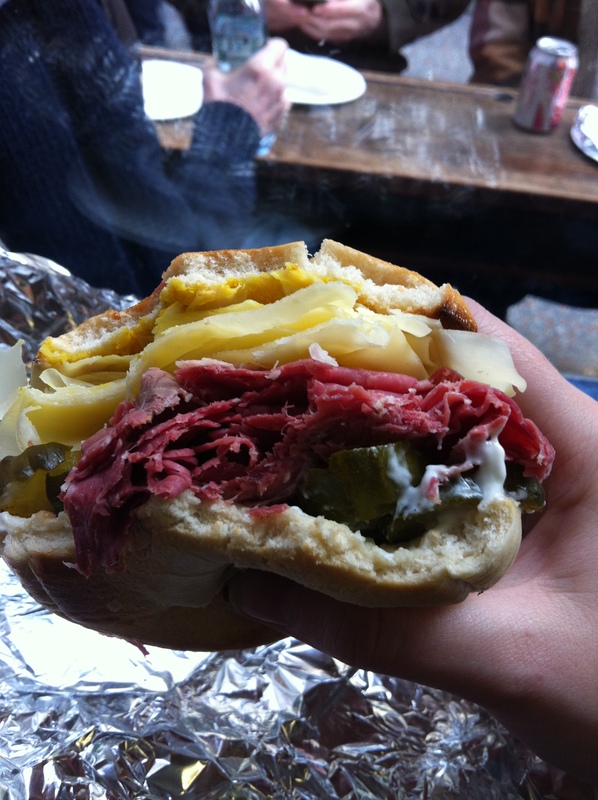 I only wish there was one in Bristol so I could get my salt beef fix. If you visit Cardiff, hunt out the hoagie and you won’t be disappointed. I dream of them still three years on….